Ford says CPV problems can cause stalled engines, drivability problems and wrong gas gauges. October 24, 2018 — A Ford Focus canister purge valve recall has been issued for nearly 1.5 million cars following complaints about stalled engines. The 2012-2018 Ford Focus cars are equipped with 2-liter GDI or GTDI engines with canister purge valves (CPVs) that can malfunction and cause too much vacuum in the fuel vapor management systems. The automaker says in addition to canister purge valves sticking open, the powertrain contol module software won't detect the stuck-open CPVs. 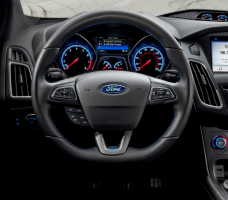 The National Highway Traffic Safety Administration (NHTSA) contacted Ford in May 2018 following complaints from 2012-2014 Focus owners. Ford investigated and found problems with the canister purge valves that caused illuminated warning lights, incorrect fuel gauges, deformed fuel tanks, stalled engines and drivability issues. In addition, Ford Focus drivers said they couldn't get the engines restarted once they stalled, and many owners complained about the expense of getting the cars repaired. 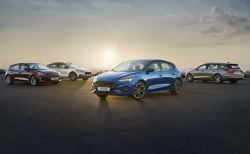 The 2-liter Focus GDI cars were built before April 13, 2017, and the 2-liter GTDI vehicles were manufactured prior to February 2, 2018. In total, 1,282,596 of the recalled Focus cars are in the U.S., 136,272 are in Canada and 44,521 in Mexico. Ford is advising Focus drivers to maintain at least a 1/2 tank of gas until the cars are repaired by dealers. The company also says it's unaware of any crash or injury reports caused by the valves. 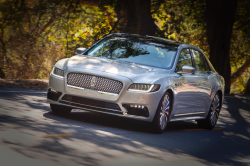 According to the automaker, updated powertrain control module software will give a driver an illuminated warning light indicating a stuck-open canister purge valve. This will allegedly prevent damage to the fuel tank. 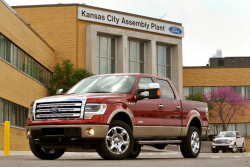 In addition to updating the powertrain software, Ford dealers will check for diagnostic trouble codes and replace the canister purge valves and possibly replace the fuel delivery modules, fuel tanks and carbon canisters. The Ford Focus recall is expected to begin December 10, 2018. Focus drivers may call the automaker at 866-436-7332. Ford's number for this recall is 18S32.